Notice is hereby given that the Exclusion Zone will be removed on Tuesday 1st March 2016; the two buoys and five beacons listed in Table 1 remain on station to permanently mark the breakwater. 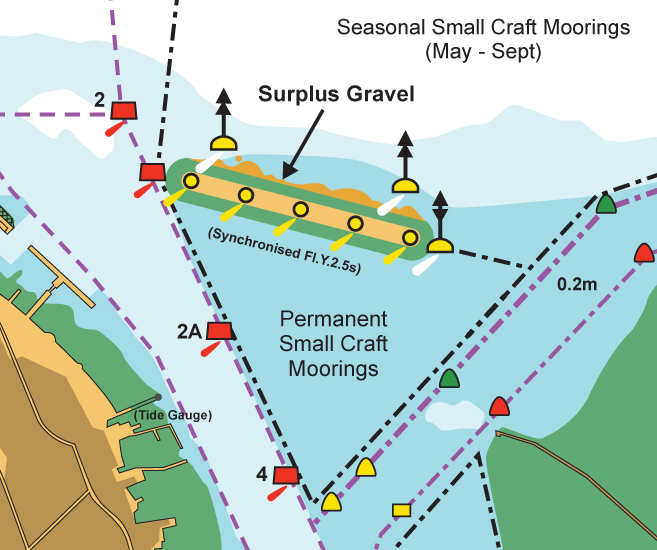 In addition to the permanent marks in Table 1, two temporary North Cardinal marks will be instated to mark the surplus shingle that remains in temporary storage along the north face of the breakwater, see Figure 1 and Table 2 for positions. 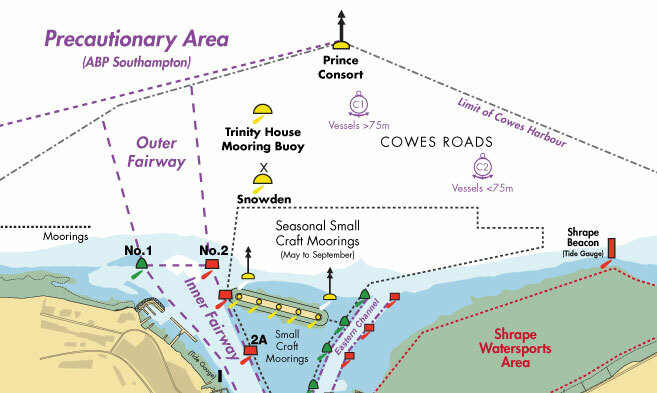 Mariners are strongly advised to remain 50 metres to the north of the breakwater crest to avoid the surplus gravel, which reduces depths below those charted. Mariners are also advised to remain at least 30m from the breakwater crest to the south as the rock armour extends 25m from the breakwater crest and to avoid passing between the buoys marking the western and eastern toes and the breakwater. Landing on Breakwaters - No person shall land, or otherwise trespass on, either the detached breakwater or the East Cowes Shrape breakwater except in emergency or with the written permission of the Harbour Master. This Local Notice to Mariners remains in force until further notice.